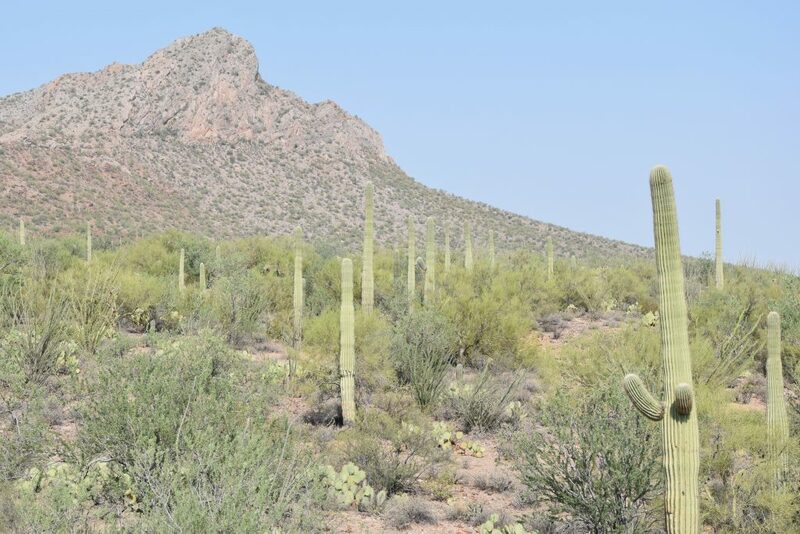 The monument presents a quintessential view of the Sonoran Desert with ancient legume and cactus forests. 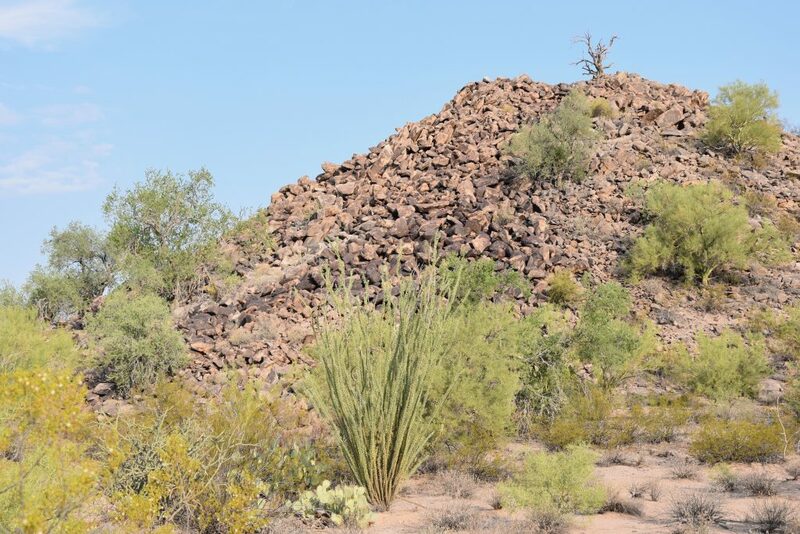 The geologic and topographic variability of the monument contributes to the area’s high biological diversity. 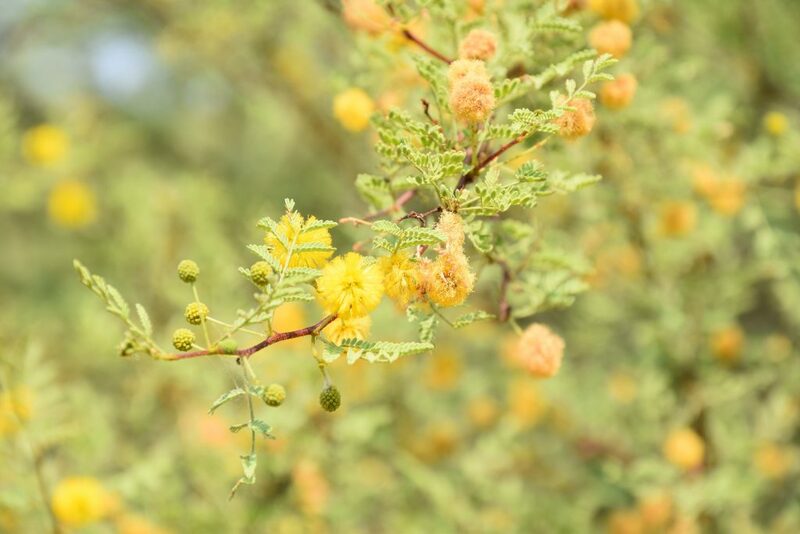 Ironwoods, which can live in excess of 800 years, generate a chain of influences on associated understory plants, affecting their dispersal, germination, establishment, and rates of growth. – Presidential Proclamation (June 9, 2000). 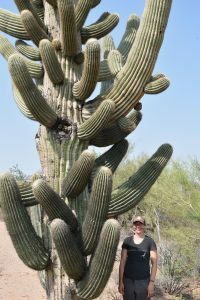 The Ironwood Forest National Monument was a wonderfully surprising beautiful and diverse landscape with rich ecological and anthropological treasures. 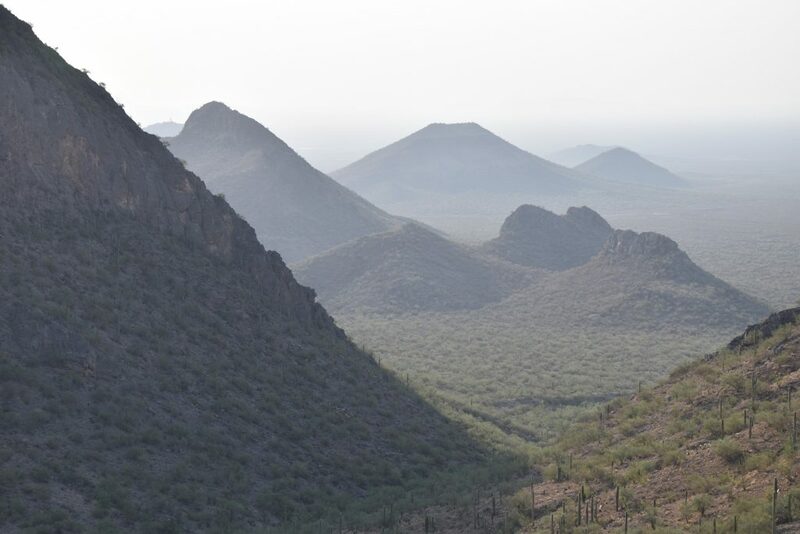 The Monument includes 129,000 acres of Sonoran Desert and includes eight mountain ranges. 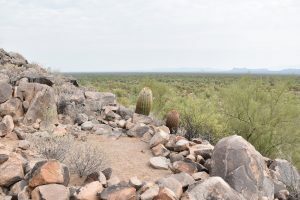 We were lucky to explore the Monument with Tom Hannagan, executive director of Friends of Ironwood and his friend and board member Dave Barker. 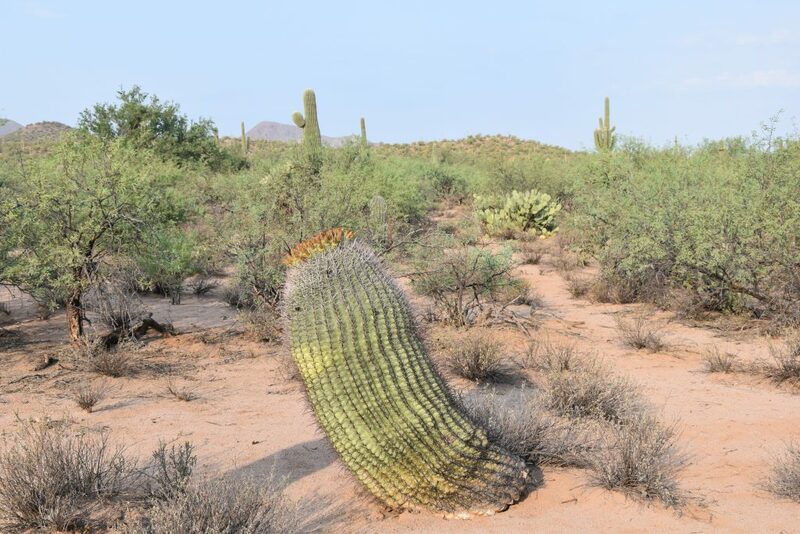 The first day we meet Dave and Tom before the crack of dawn because Tucson has been cranking up to 106° during the day. 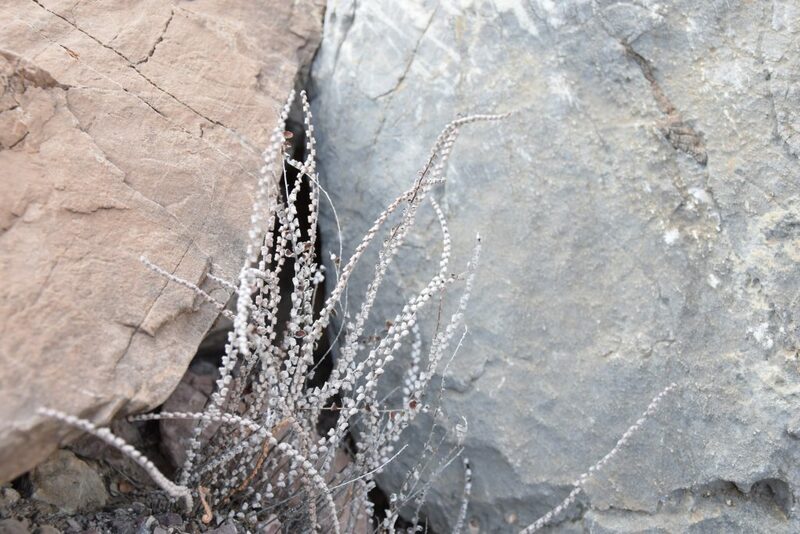 We drove to where the Monument meets Silver Bell Mine, a century old copper mine. 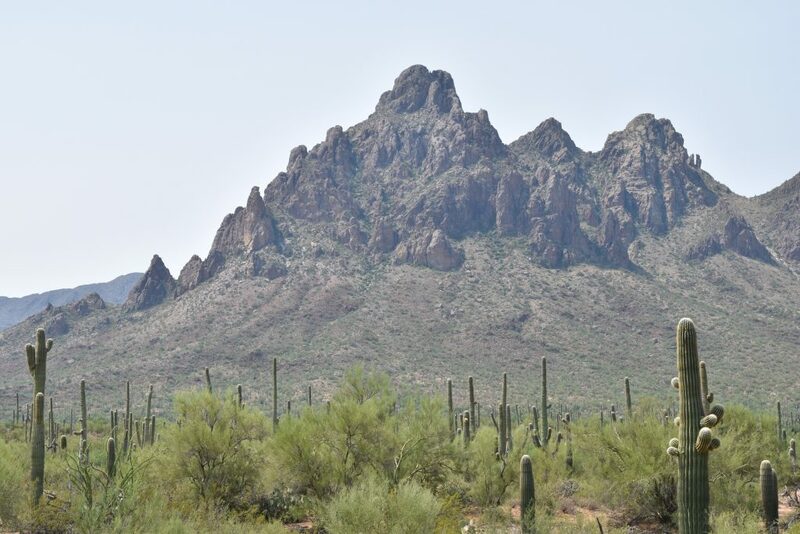 Copper mining in Arizona has a long history, it’s one of the five Cs of old Arizona: Copper, Cotton, Citrus, Cattle, and Climate. 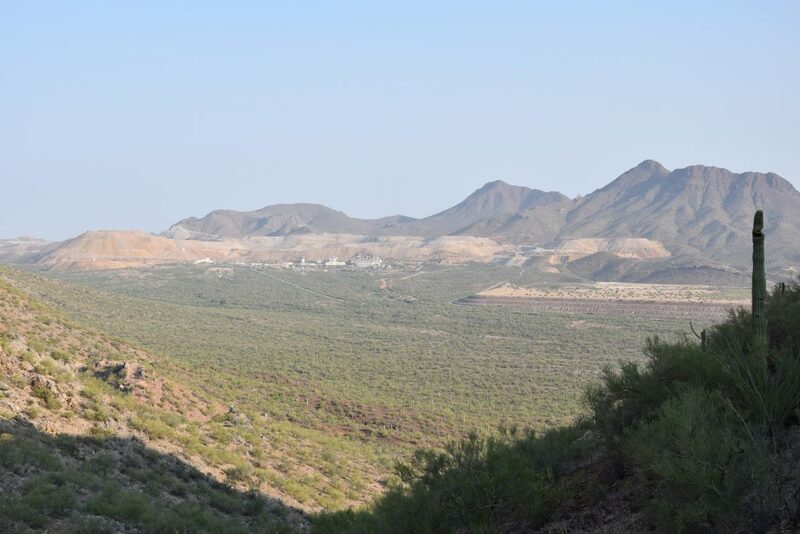 Mining in the Silver Bells began before the 20th century and the current Silver Bell Mine operation moves 3,600,000,000 lbs of earth every month. 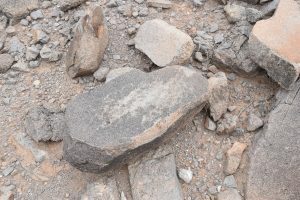 Among the owners of mining companies in the Silver Bells are the easily recognized names of Rockefeller and Guggenheim. 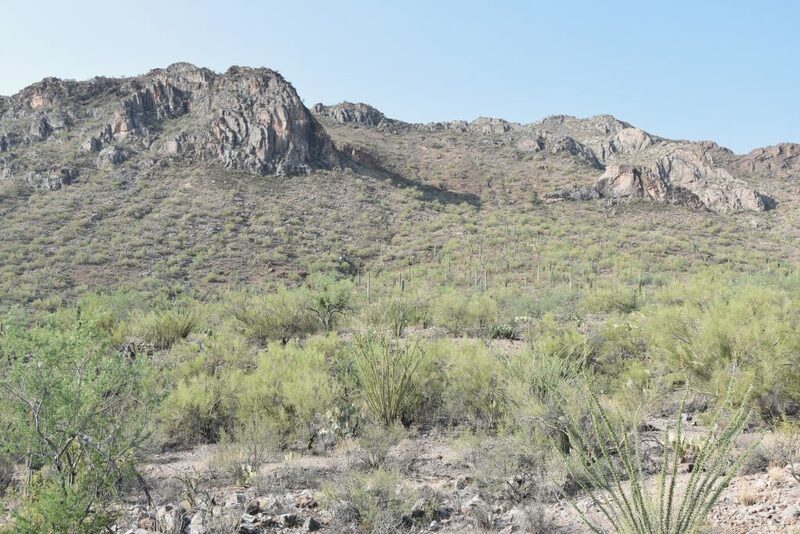 Silver Bell Mine is one of the entities seeking to have the Monument reduced so they can assert new mining claims. 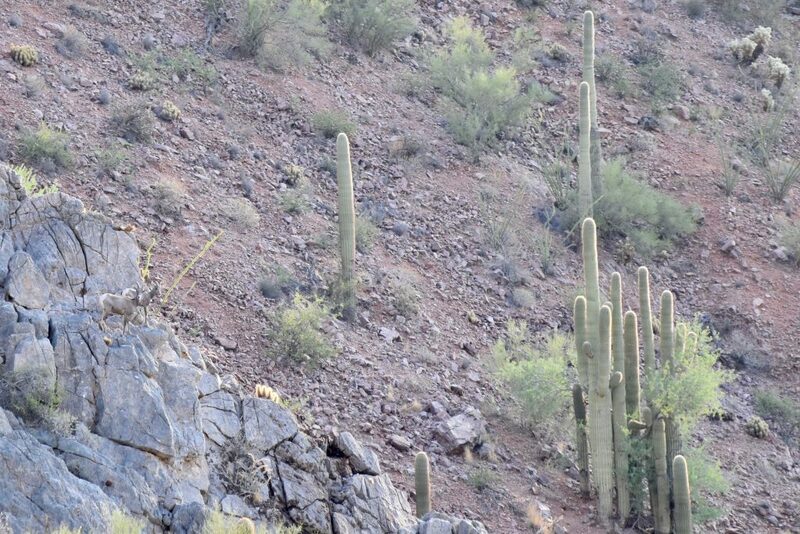 When we pulled up, Tom quickly spotted a dozen desert bighorn sheep at the trailhead. Fortunately, the sheep weren’t much bothered by our presence. 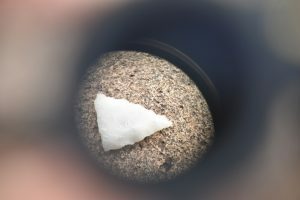 We watched them and they watched us for a while. 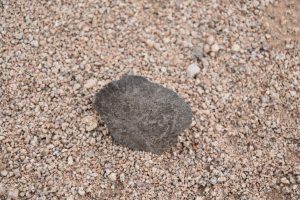 Tom recalled how just a decade earlier the wild sheep population had been devastated by the introduction of domesticated goats which introduced a virus that blinded the wild sheep. 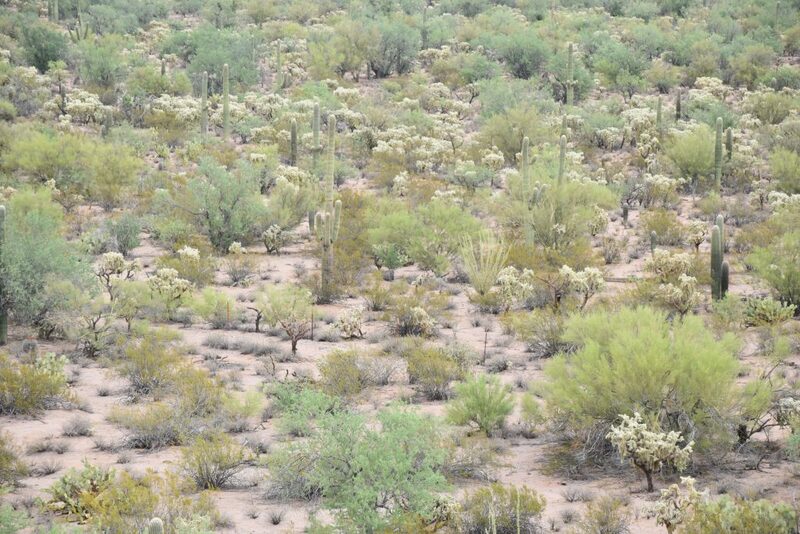 The population had been reduced to around 20 but has rebounded steadily since the virus was eradicated. 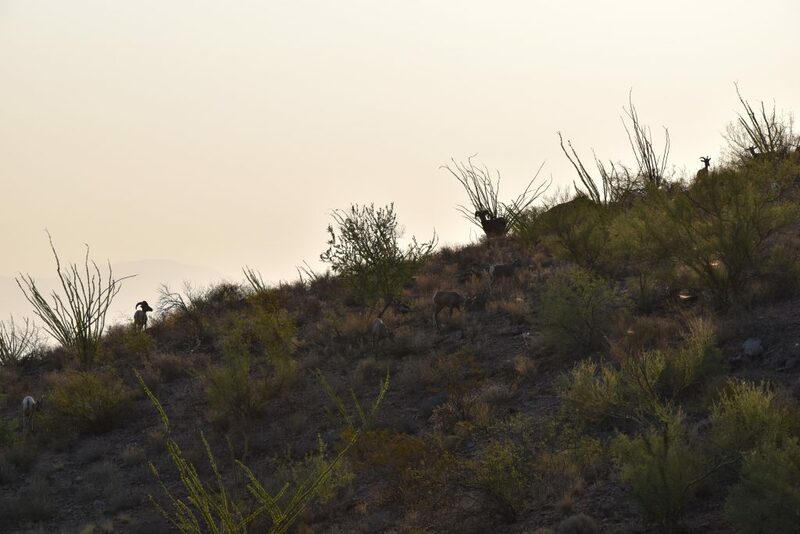 It’s still rare to see sheep and it was the first time Tom had seen them in the Monument, but we would end the day with a count of about 25 wild Desert Bighorn sheep. 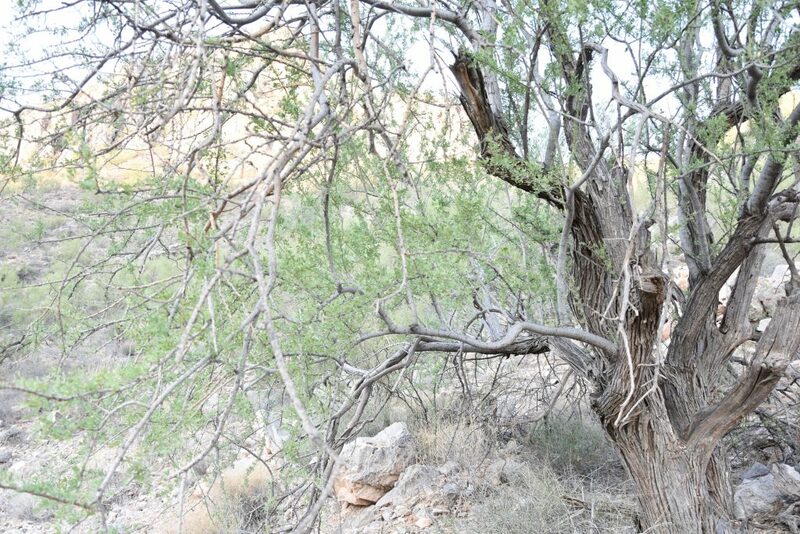 Uniquely there are no official trails in the Ironwood Forest National Monument but there are numerous well-worn paths. 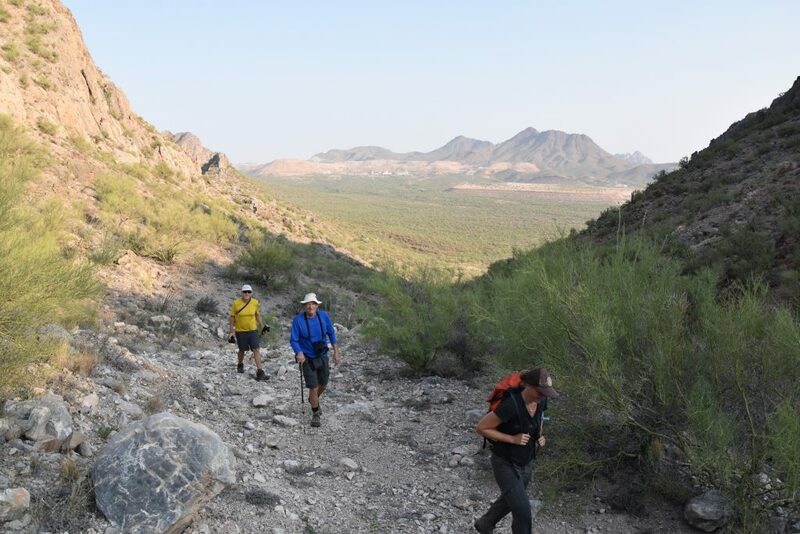 We hiked up one path to a saddle of the Waterman Mountains, providing a great view of the Sonoran-desert landscape which is a great mix of bushes, cacti and trees that appear uniquely reliant on each other for survival. 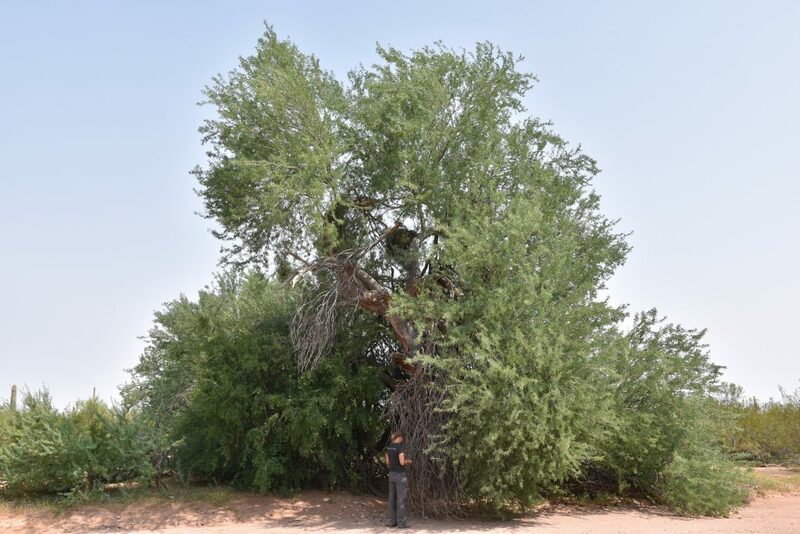 The desert ironwood tree, Olneya tesota, the Monuments namesake, are crucially important to other plants and animals in the area, and are known to support over 500 different species. 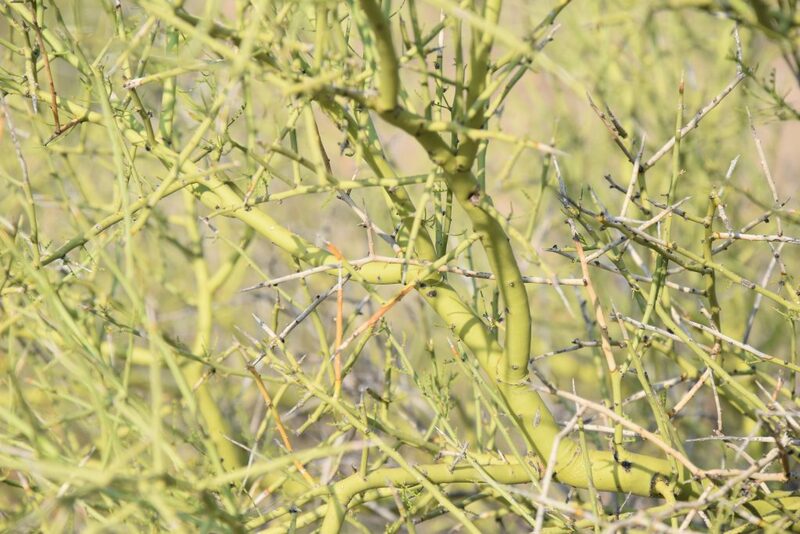 These trees have particularly hard wood and if you put Ironwood in water it will sink. 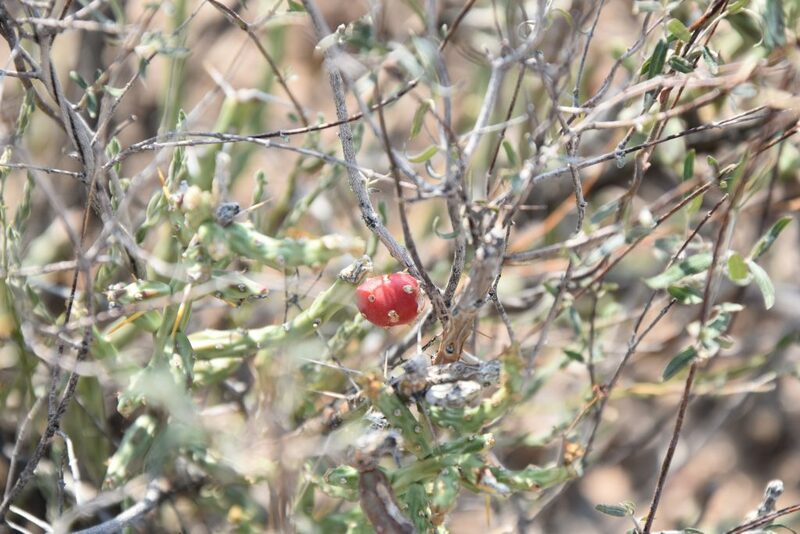 They are from the pea family and can grow as old as 1000 years. 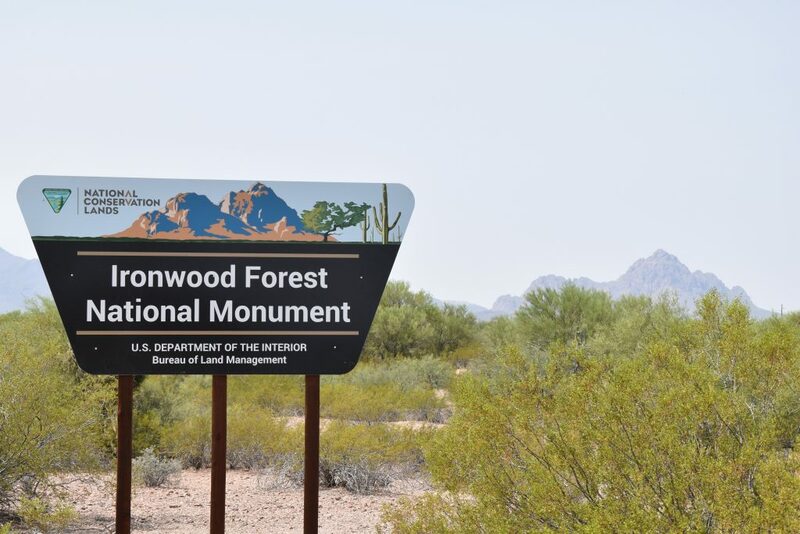 The Monument is home to some “old growth” Ironwood trees which have the highest density of Ironwood trees in the world! 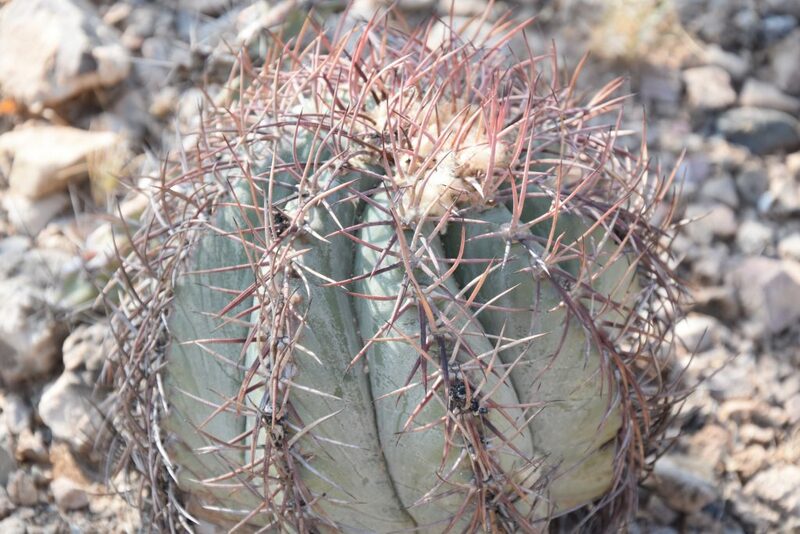 The Monument also protects amazing cacti including the endangered Nichol’s truk’s head cactus. 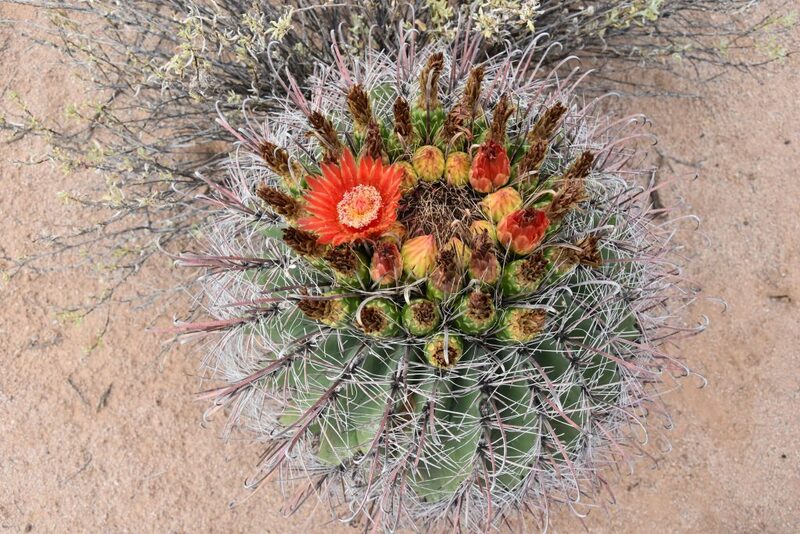 They are known to have amazing pink blooms but the blooms are brief and can be hard to catch. 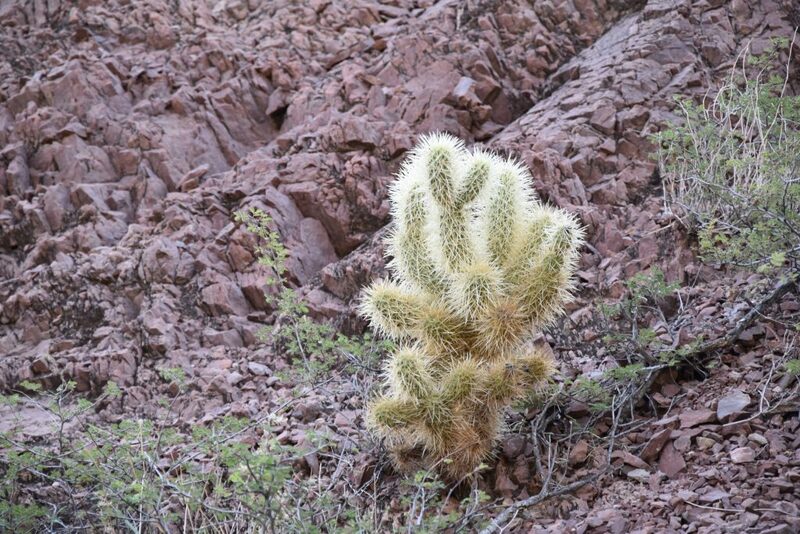 There is an incredible variety of cacti within the Monument. 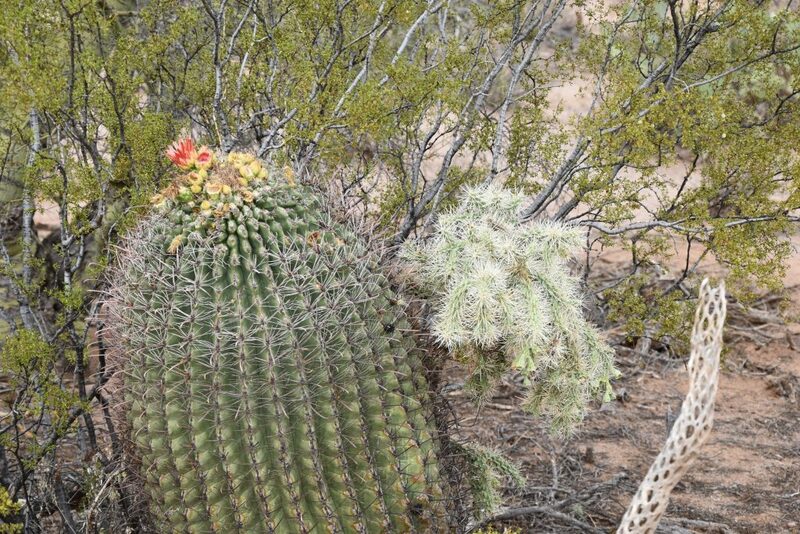 The teddy bear cholla or jumping cholla are especially aptly name. 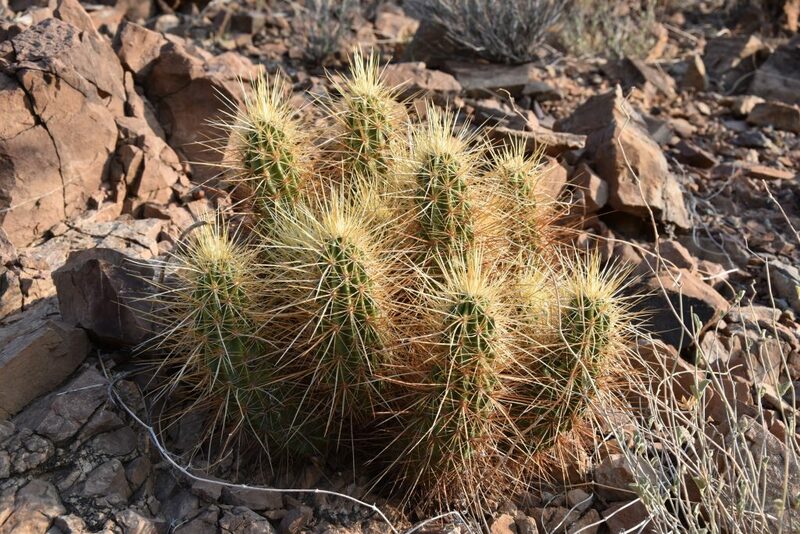 They appear at a distance soft, but get close enough and the little puffs seem to “jump” onto you and then the painful spines need to be pried off. 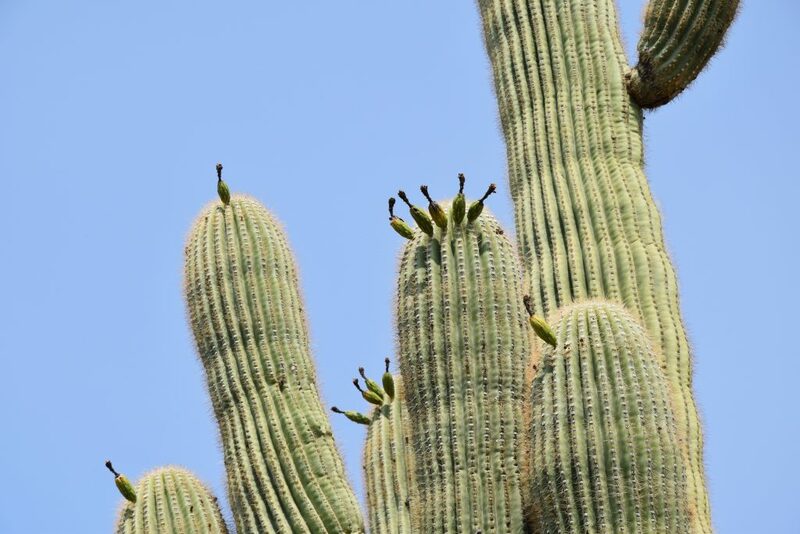 There were also tons of huge iconic saguaro’s. 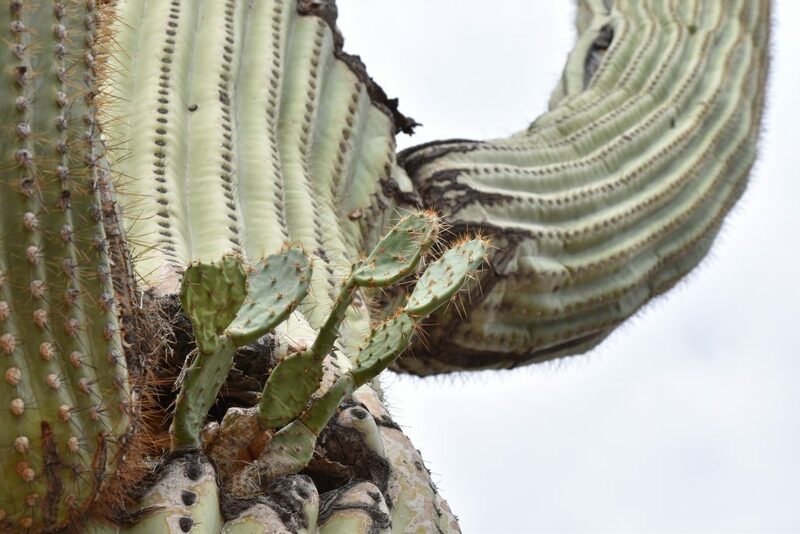 Similar to the Ironwood, the saguaro also acts as nurse plant. 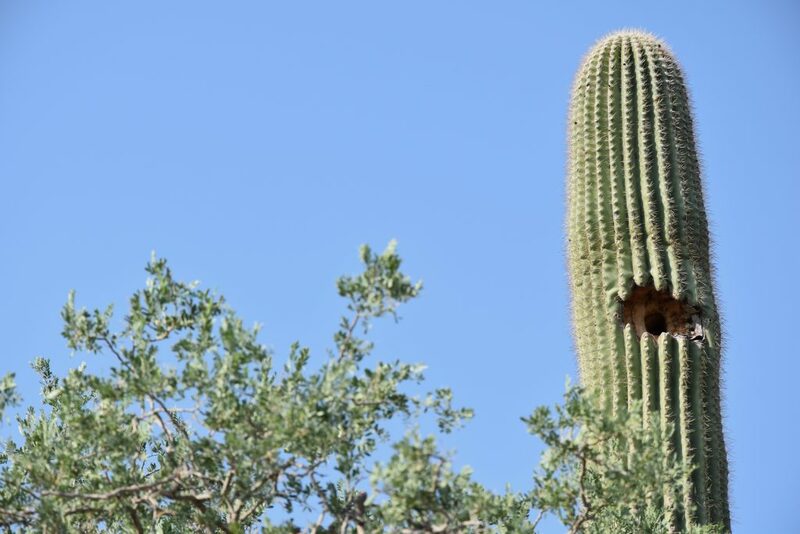 We saw one playing host to a prickly pear and another hosting a bird’s nest. 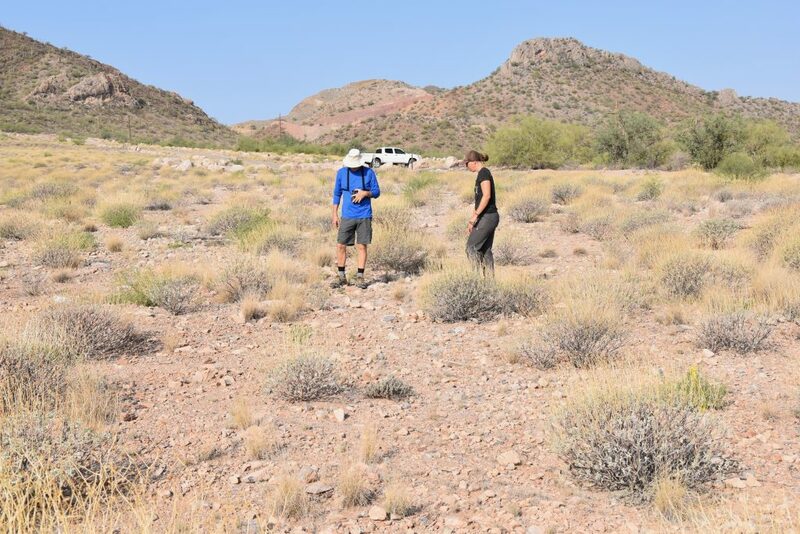 The Friend’s group has been doing restoration work in the area to revegetate a runway that was illegally bulldozed into public land by a mining executive. 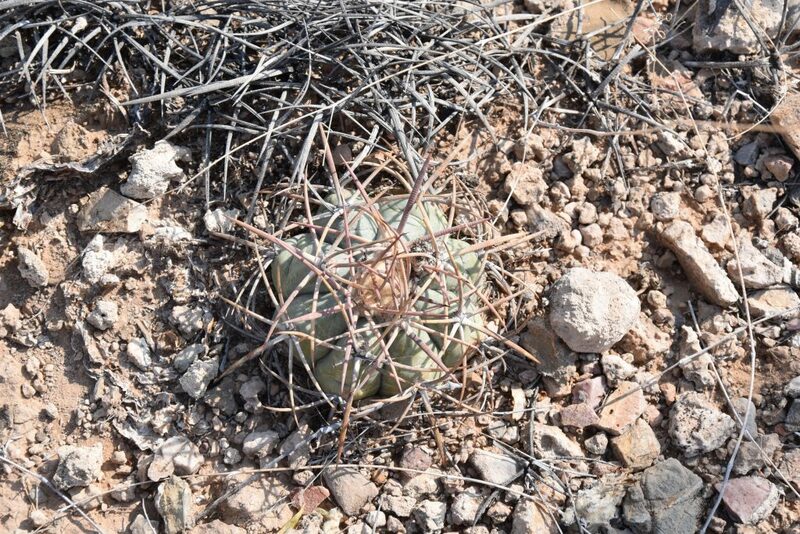 The plants are starting to come up and take hold, but it made us appreciate how slow things grow in the desert. The second morning we visited one of the rich archeological sites protected by the Monument. 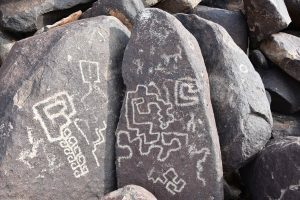 There are over 200 confirmed archeologic sites in the Monument and people are believed to have lived in the area for over 5,000 years. 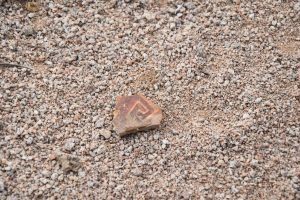 The site we visited included petroglyphs scattered among a rocky mountain, what we thought were old home sites, a lookout, abundant pottery shards, points, cleaning tools and a rock that must have been used as a table. 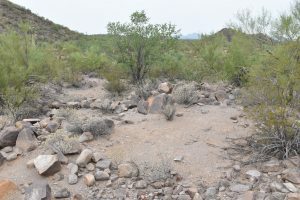 site included petroglyphs scattered among a rocky mountain, what we thought were old home sites, a lookout, abundant pottery shards, points, cleaning tools and a rock that must have been used as a table. 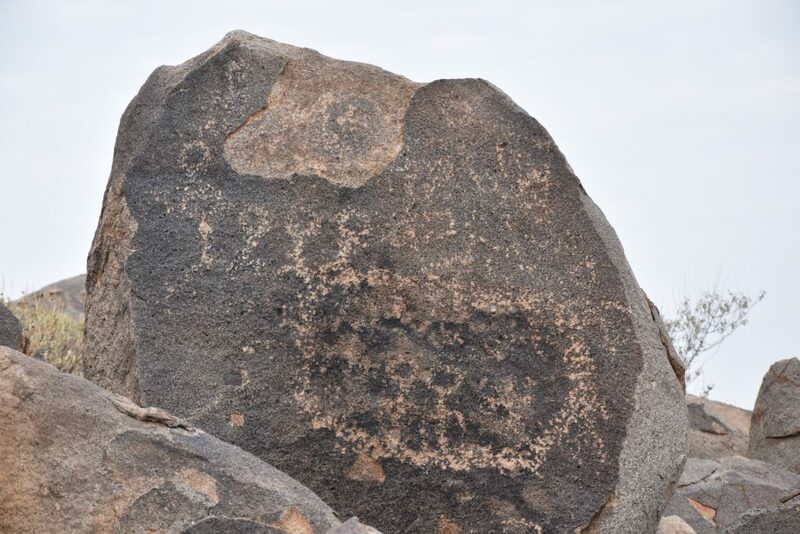 This petroglyph appears to portray a family in a kiva with a group outside.